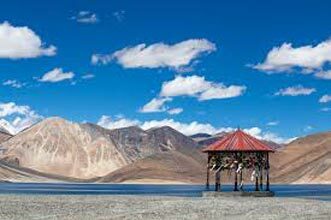 Arrive at Leh airport and check in to hotel for a complete day of rest. After lunch visit Leh Palace, Shanti Stupa and Sankar gompa. 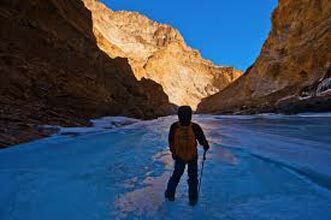 Overnight at hotel/guest-house in Leh. 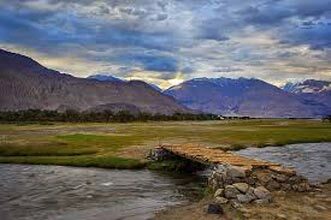 After breakfast visit Nubra valley(Valley of Flowers) via Khardong-La Pass(18,380ft, highest motorable road in the world) and take some moment to capture the breathtaking scenery in your camera. Arrive Deskit by afternoon. 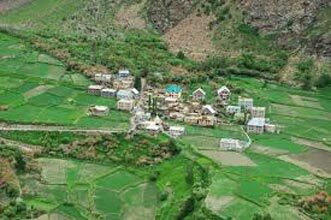 Explore Deskit/ Hunder villages and visit monasteries. 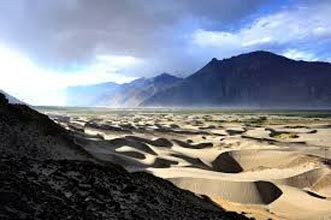 Also enjoy camel-safari in the sand dunes of hunder. Overnight at hotel/guest-house. 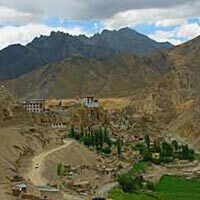 After Breakfast drive back to Leh and enjoy your free Offer Tour to Hall of Fame (Army Museum) and Spituk Monastery ( Kali Mata Mandir). Overnight at hotel/guest-house. 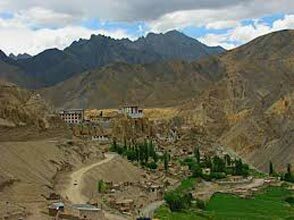 : West Leh (Sightseeings) After breakfast leave for Likir monastery. 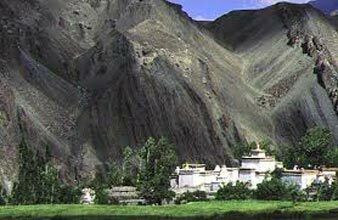 Enroute visit Phyang Monastery, Pathar-saheb Gurdwara, Magnetic Hill, Sangam (confluence of Indus and Zanskar rivers) and Basgo palace. Overnight at hotel/guest-house.